In a world of darkness, where there is only snow and mountains — one girl is on a mission to spread love and cheer. Some would call her crazy, some might even call her naïve… but we call her Rae Bednar. This Long Island native, culinary major, and blue raspberry Dum Dum lover is spreading love… with lollipops. 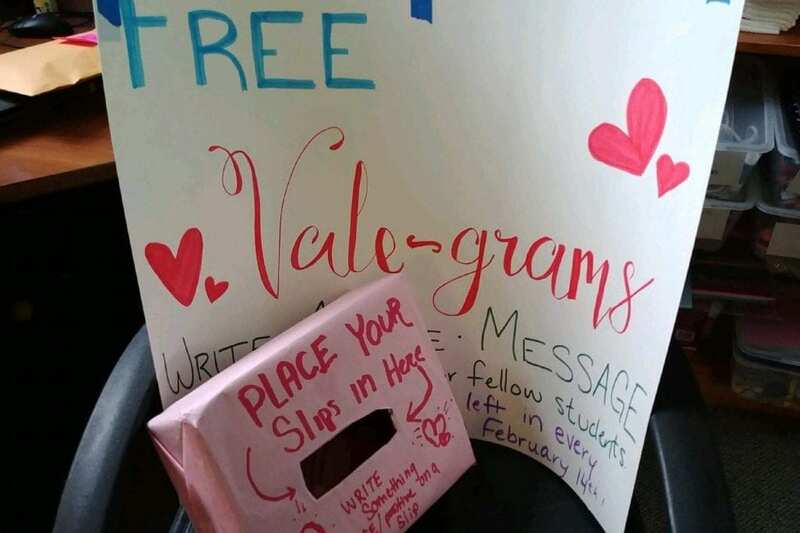 Her task is simple, fill every PSC student mailbox with ‘Sweet Little Things’, which are kind words and a lollipop sponsored by Residence Life. She sat outside of Lakeside Dining Hall this week at supper collecting small, brightly colored slips of kind words to distribute to the student body. Among her favorite of the over six-hundred personalized comments were “You’re the best!”, “Turtles”, and some of the lyrics to Ophelia by The Lumineers. The initiative is free for everyone, and if you’re already in the student center, just head down to check your mail. The little bundles of joy should be in mailboxes by supper time on February 14th, 2019. If you forgot your combination or can’t remember how to open your mailbox, feel free to ask the mailroom attendant (me) to help you out, but make sure you try it by yourself first! If you are a Paul Smith’s College student, faculty, or staff member, stop by the dining hall during dinner until Friday, February 8th, and fill out a small colorful slip. Help Rae spread Valentine’s Day cheer. This Valentine’s Day, you don’t have to fret, and you don’t have to frown, just check your mailbox.